I had a hard time creating these letter Q worksheets. 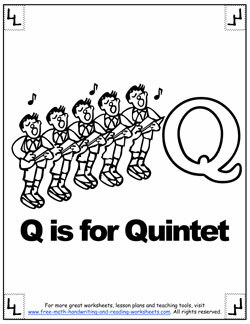 There aren't many kid-friendly words that begin with Q. 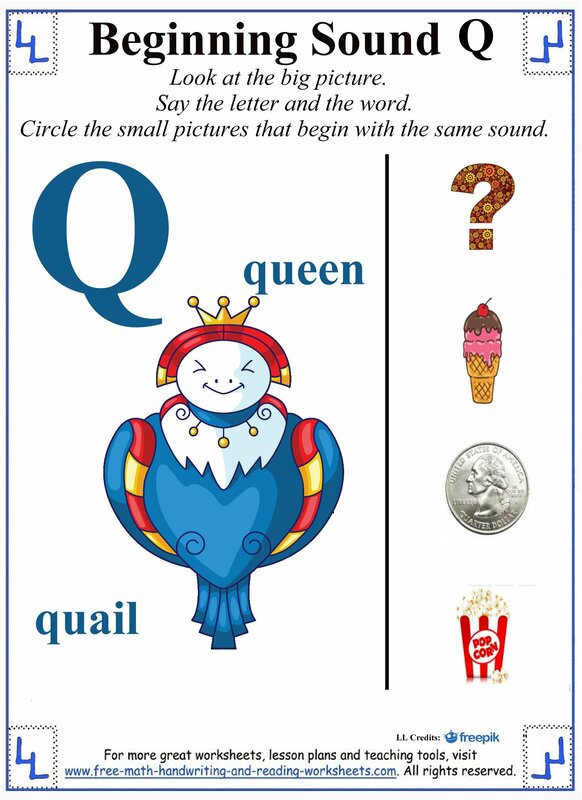 There are the obvious words like queen, quilt, and quarter that kids should be able to pick up on easily, but others will be more difficult and you'll probably have to help your child name the objects in these worksheets. Printing out your papers is easy. Click on an image to open the file in a new tab. 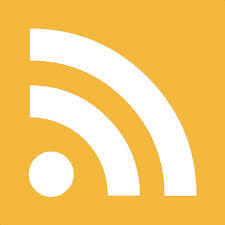 Click the printer icon or the download arrow to access. 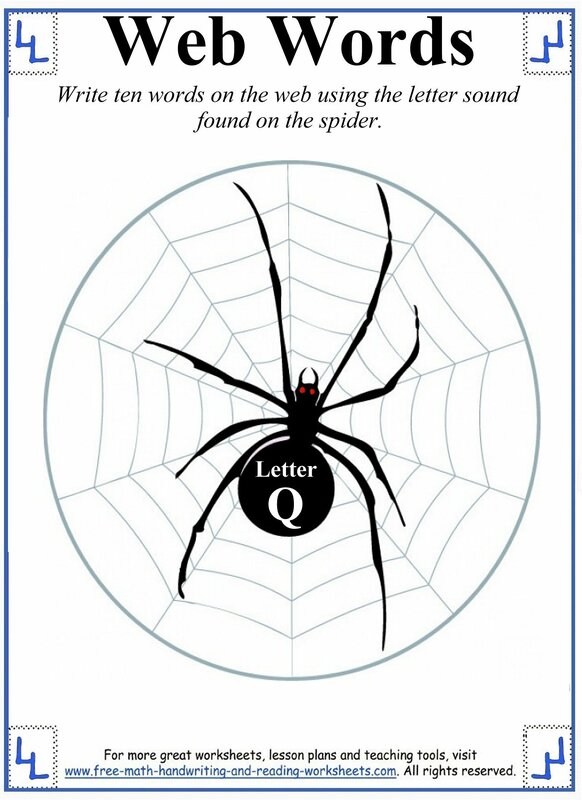 The first paper simply introduces the letter Q. Say the letter and the words--have your child repeat them after you. On the right you'll notice four objects--circle the ones that begin with the Q sound. Next is a cut and paste activity. Have your child cut out all of the pictures at the bottom of the page. Name each one--if it begins with Q (quilt, quartz, quail) paste it onto the page. The third printable is a bit harder. There are three pictures next to four words. Help your child to choose the word that best describes the picture--not necessarily the object in the picture, but the word that is best associated with it. Circle the word then write it on the line. 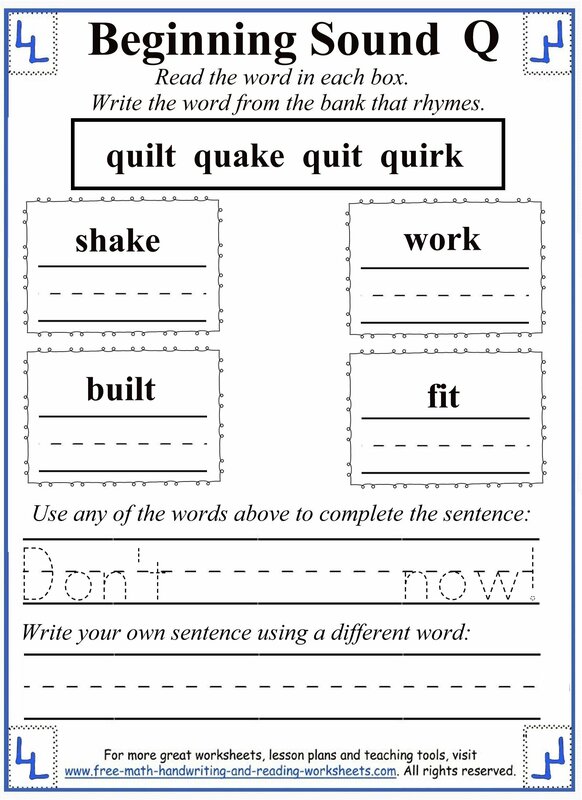 The fourth worksheet is a rhyming and sentence writing task. In the top box are four words that begin with Q. Each one rhymes with one of the four words in the boxes below. Write the word on the line. 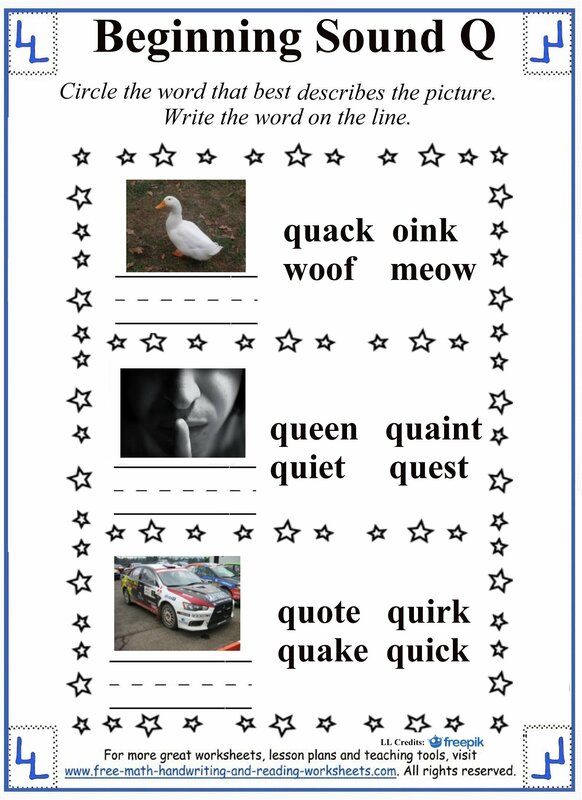 Use one of the Q words to complete the sentence and another one to create an original. Web Words will have your child come up with ten words that begin with the letter Q. Write one word on each line. The final worksheet is a coloring page. 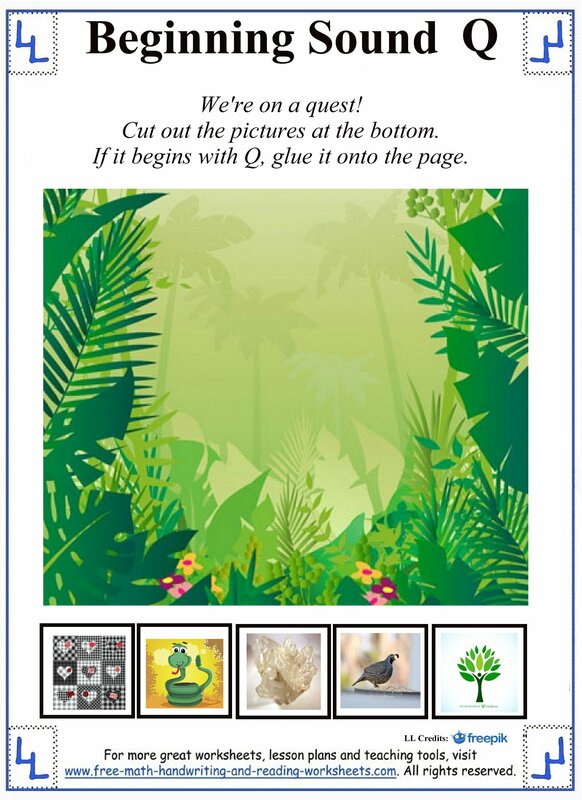 You can use it to create your own alphabet flip-book (see related lessons below). For more help with letter sounds see the pages below.